Always looking for gift ideas for boys over the age of 5… This is on sale at Masterminds for the next two weeks. The Boy is obsessed with Dora. My husband just constructed a tacky yellow plastic Dora house in the back yard. The boy climbs the roof of his Dora house and tells us that he is G-d. I am so pleased that he is having fun with Dora and that his ego is bursting…but would much rather see a classic teepee out there. 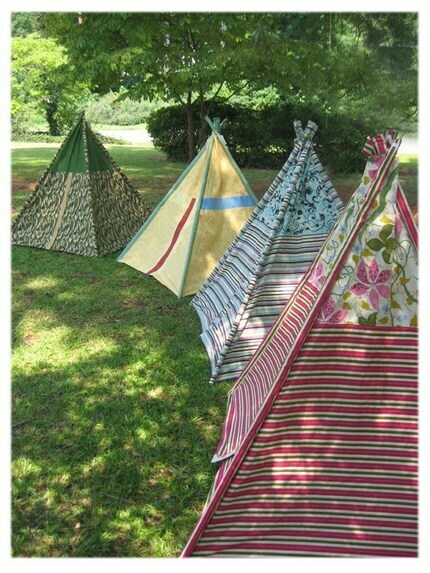 They can’t climb on top of teepees. This one is from Etsy and costs $130. Posted in Cool Products, Decor, Gifts. Father’s Day is Sunday, June 20th. Take advantage of Huddy Buddy’s huge spring sale while honouring dad with our “I’m just like my dad.” or “I’m daddy’s princess.” Little Chatterbox tees. Other designs available too, and all are just $12! Get 20% off beautiful silhouette prints from Honeybunch when you enter code may20 at checkout. This is a great local online boutique & store with lots of unique items. Promotion valid until May 29th. Posted in Coupons, Deals, Decor, Gifts, Personalized, sale. Mother’s Day is coming up…if you want something a little more original than a flower bouquet, fruit arrangements always have the WOW factor! Save $5 with the above code. 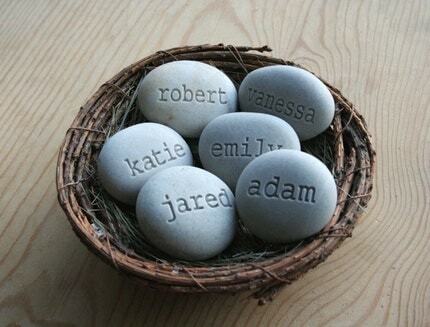 Don’t you think this is a good gift for your mom if she has lots of grandchildren? 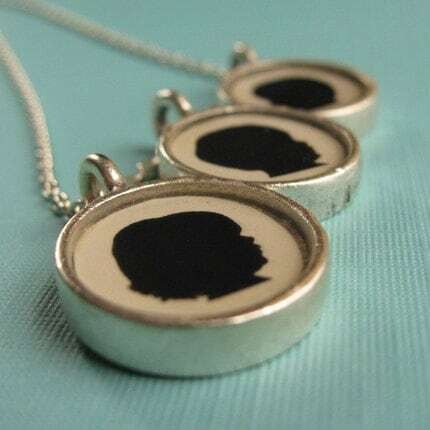 Mother’s Day is coming up next month and if you are looking for something creative and personal, you might like this idea. Send the artist clear photos of the profiles of people (or pets??) 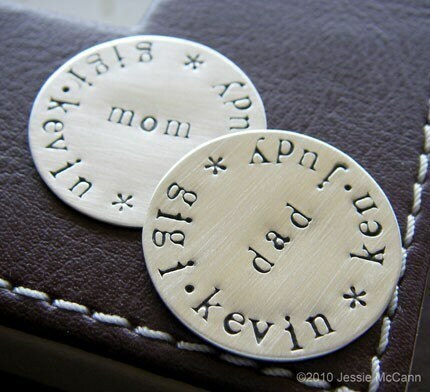 and she will create this beautiful keepsake. See Stella & Hodge’s Etsy shop for more details. Posted in Cool Products, Gifts, Ideas, Personalized. By far, Mabel’s Labels rank high on the Mamapicks chart of useful kids’ products. 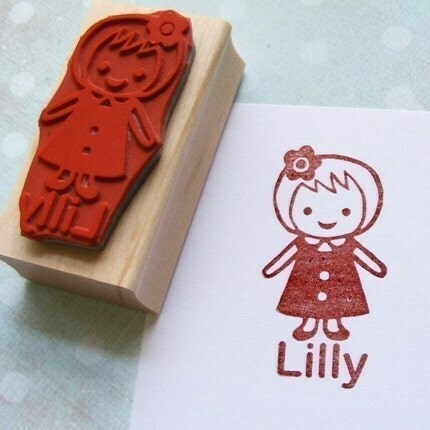 You can label everything from shoes to clothes with your child’s name. The weather is looking so good…and it makes me want to label sand toys (!). 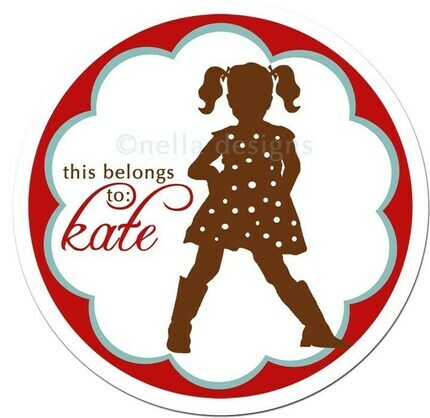 Enjoy 15% off your order with coupon code KIDS and you might get a little surprise with your order as Mabel’s Labels is celebrating their 7th birthday and adding goodies to random orders until March 17th! Posted in Coupons, Gifts, Personalized. Sometimes finding the right gift for the 7+ age group isn’t easy. This coupon may help! Once in a while, you buy a toy and it actually peaks your children’s interest for more than 1 day. This one (Pipe Builders) has been occupying both The Boy & The Girl for over two months! Who would have thought? They are always busy building letters, numbers, shapes and structures. I purchased the large tub of plastic pipe builders at an amazing American store called Lakeshore Learning (they supply educational toys, learning materials and craft supplies to schools, museums, playgrounds and regular families). If by chance you are in the US, you must visit! Some of Lakeshore’s products (Pipe Builders included), are available here in Canada through Wintergreen Learning Materials. The set includes 240 plastic pieces and is well worth the purchase! Posted in Gifts, Ideas, Useful Info. I didn’t know anything about the Living Arts Centre in Mississauga until Chantal Kreviazuk performed there a few years back and we went to see her intimate show (it was amazing). The Living Arts Centre is a place where community members of all ages come to delve in arts related courses, programs and entertainment. It’s like a super-high-class community centre. Robert Munsch (1pm & 4pm , March 17th) Tickets are $20-$30. I think show tickets are an amazing birthday gift for a child and accompanying adult if you are looking for an original gift . If your own child is celebrating a birthday in March and you want to do something unique, you can have the birthday as part of the above performances… Call 905-306-6158 for more info on birthdays. Posted in Activities & Events, Gifts, Useful Info. 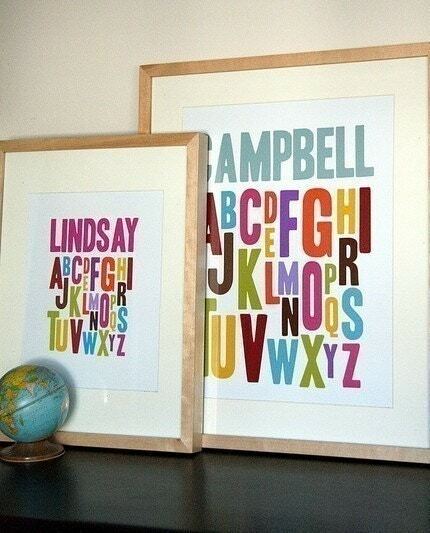 Alphabet Prints – 2 for 1 promotion! These gorgeous alphabet prints by Penny People Designs are the type of find that I want to share and keep to myself all at the same time. My son has one in his room and I can’t help but admire it every time I see it. I love the concept, the colours and of course…I am 100% into anything personalized (in case you haven’t noticed). The prints come in two sizes and fit into an IKEA Ribba frame which makes framing so simple. Lindsay, the talented Toronto-based designer of the prints, just sent me information about an amazing promotion. For every 13×19 print that you buy, you will get one free. That’s a $25 saving! Shipping is $13, but will include as many prints as you like. To take advantage of this promotion, go to the online store and only place in your cart, the amount of prints you would like to buy. Upon checkout, enter the promotion “Buy1 Get 1 free” in the notes to seller, as well as information about how you would like to personalize your free print(s). This promotion runs until Feb. 3rd, 2010. Please note that everything on Etsy is in US funds. Posted in Cool Products, Deals, Decor, Exclusive Discounts, Gifts, Personalized, sale. Posted in Cool Products, Coupons, Deals, Exclusive Discounts, Gifts. Only $10 for a set of 30 stickers. Cute, no? What a great addition to a birthday gift. There are lots of other silhouettes (for boys & girls) to choose from. Check out Nella Designs. Toy Recommendation + Grand River Toys Sale EXTENDED! FantaColor Junior has become a favourite around here. When kids turn 2, they seem to develop a real passion for sticking pegs into holes. The FantaColor Junior Basic comes with 48 plastic pegs, a transparent board and 16 different pictures which encourage and help kids apply colour recognition. I love this toy because it develops so many skills and offers an opportunity for focused, quiet play. 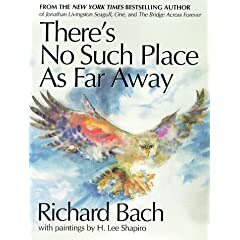 Currently, you will find it on sale for $20.99 (down from $29.99!) at Grand River Toys. Which brings me to the next point – Grand River Toys is having a huge sale (30-50% off a great selection). The sale has been extended until Ja. 24th so make your order ASAP. Today’s Parent Magazine Subscription for $1/month! 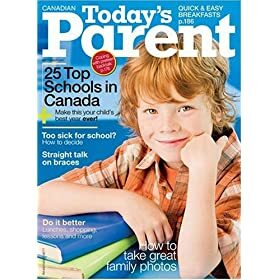 Today’s Parent is a great magazine with tons of information about absolutely everything for Toronto parents. You can get a subscription for this great price through Rogers’ magazine service if you are a Rogers cable, internet or phone customer. Is there really any choice? The $1 will be added to your monthly bill and you can cancel at any time. Check here for more info and the magazine selection for this exclusive offer. BTW, a subscription to this magazine makes for a great little gift for new parents! I’ve heard great reviews from friends about Crazy Forts. Some recommend buying two boxes so that the kids can create bigger structures. This week at Toys R Us (until Dec. 24th), buy it for $35.97 (reg. $44.99). 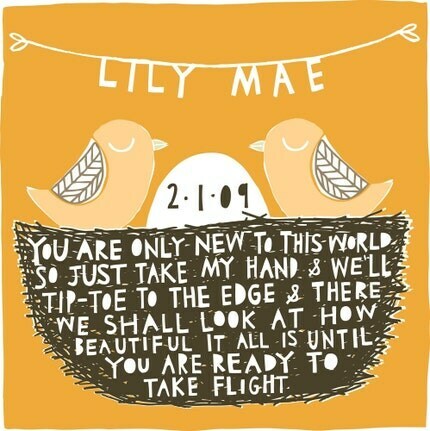 Since publishing this post, some Mamapicks readers have written in (thank you!) that the product is not so great and that the structures are difficult to put together and the rods don’t stay in the balls. So, mixed reviews on this one! You will also receive a $5 gift card if you for a minimum spend of $19.99 on any Hasboro games and a $10 gift card on a minimum $50 spend on Hot Wheels, Playsets or Barbie Dolls this week. Posted in Cool Products, Deals, Gifts. As far as I am concerned, if you haven’t tasted the Hedgehog from Purdy’s Chocolates (locations at Vaughan Mills & Hillcrest Mall), you simply haven’t lived.